Are you running a E-commerce, News, Games or any other high Incoming traffic Site ? probably your Web Server not able to handle the heavy traffic coming to your website, resulting you may loose valuable users or customers. These are the common problem of all, who are using Shared Hosting or such Hosting service which are not fulfilling your requirement. It doesn’t matter whether you have chosen plans, in which the hosting provider claims that they are providing unlimited resources i.e. bandwidth, memory, disk space etc. 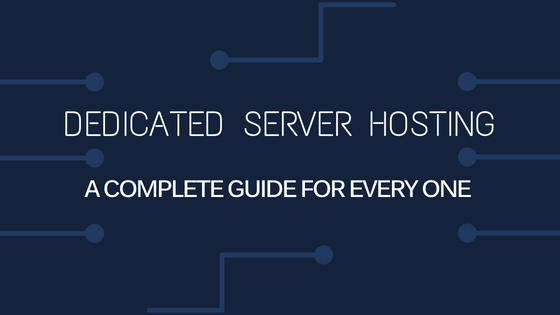 If you carefully read those terms & condition for “Unlimited hosting“, then you will come to know that at some extent or certain conditions only, the hosting provider provides “unlimited hosting service”. 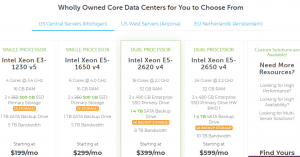 Is “Dedicated Server Hosting” the only solution ? YES, If you really want to come out or overcome from this problem, then I suggest you must go for Dedicated Server Hosting from any reputed, renowned, trustworthy “Dedicated hosting service providers“. 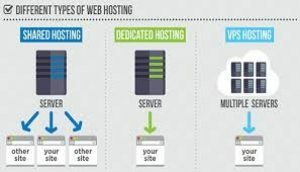 What is dedicated server hosting ? Dedicated server hosting is a web hosting option where Hosting provider provides exclusive ( Dedicated ) resources on leased basis. The physical dedicated server remain installed at hosting provider’s data center and responsibility to maintain those server’s hardwares, equipments & software lies with hosting provider. A separate service level agreement (SLA) is signed mutually between client and provider. However, client can have administrative access to those servers. In other words the client can take the complete control over the dedicated server. Reliability : More reliable compared to shared hosting. Performance : Better performance compared to when resources are shared. Customization : More flexibility in terms of adding software and changing server configuration. Client has a freedom complete control over Server resources and can customize the server according to their specific need. Security : A greater degree of security that can be customized according to a client’s needs. A unique and dedicated IP address is deployed to make dedicated & secured channel to make the data more safer. A custom firewall, which can help in enforcing the access control policy. Congestion : Server congestion is much less of an issue with a dedicated server, especially when compared to shared hosting options. Support : This is important as a high percentage of dedicated hosting customers use the service to host mission critical or important computing functions or websites. Effective support i.e. 24 hours per day, 365 days a year, ensures that site disruption is kept to a minimum. we have tried out best to consolidate some top most dedicated server hosting services provides through out the world. This list has been written in random order, meaning, it doesn’t narrate that who is the top or who is on the bottom. we just tried to review their features and other points, which may helpful for you. Liquid Web is a $100+ million hosting company, totally devoted to web and cloud professionals, Growing businesses and the Designers, Developers and Agencies who create brand for them. Liquid web’s vision is to focus on products, services and support designed specifically for mission-critical sites, stores and applications. Nearly 270+ experienced administrators, engineers, and technicians are dedicated and empowered to make your life easier – and Powering Your Business Potential. Cloud Dedicated Bare Metal Servers combine the processing power and resources of a traditional Dedicated Server with the instant provisioning and flexibility of a cloud platform. Bare metal cloud servers deliver complete hardware transparency and the scalability modern applications demand. Available with Linux or Windows, Cloud Dedicated Bare Metal Servers are the best choice for those who need a custom, bare-metal configuration and powerful, cloud-based features. A dedicated server available with Single & Double Processor, offers high performance and locked-down security for any website or application. Discount Coupon : Use Promo Code “DEDI38” to avail 38% Off for 4 Months. Normally the best partnership for business is your hosting provider. After all, one can rely on hosting provider to be secure, stable and have around the clock support. Businesses trust Liquid Web because of their excellent track record with hosting mission-critical WordPress sites. Liquid web minimizes their server downtime , Scalability risks , Security risks. Why Choose Liquid Web Managed WordPress ? Watch this Video for better explanation. was just wondering if you get a lot of spam remarks? This is a informative article.Thanks for this article.Keep sharing. an easy method you are anle to remove me from that service? I have to check if there is any problem. I will never mind if you quote my posts into your weblog. If you are honest while providing credits and source back for my weblog that would be great for me. At the same time I can also quote your post in my site. In other terms I can be treated as “Give and Take:, Is it ok to you ? This is the perfect blog for anyone who wants to know about this topic. The article is nice and it’s pleasant to read. I have known very important things over here. Thank you so much for this post. Thanks for your compliments. I do hope you will be keep visiting my blog site https://www.hostingmall.in to read similar kind of post. He continually kept talking about this. I’ll send this post to him. Thanks dear for appreciation ! !